On June 22, 1906, Austrian-born American filmmaker, screenwriter, producer, artist and journalist Billy Wilder was born. He is regarded as one of the most brilliant and versatile filmmakers of Hollywood‘s golden age. With The Apartment, Wilder became the first person to win Academy Awards as producer, director and screenwriter for the same film. 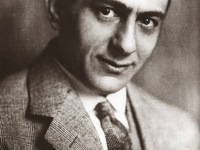 Born as Samuel Wilder to a Jewish family in Sucha Beskidzka, Austria-Hungary, to Max and Eugenia Wilder, the owners of a successful cake shop, he was nicknamed Billy by his mother (because of her fascination with legendary American hero, Buffalo Bill), who had spent several years in the United States in her youth. The family moved to Vienna, where Wilder attended school. 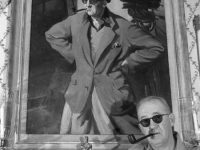 But, instead of attending the University of Vienna, Wilder became a journalist and moved to Berlin, where, before achieving success as a writer, he allegedly worked as a taxi dancer. Developing an interest in film, he began working as a screenwriter. He collaborated with Fred Zinnemann and Robert Siodmak on the 1929 feature “Menschen am Sonntag” (People on Sunday) and wrote the screenplay for the 1931 film adaptation of a novel by Erich Kästner, Emil and the Detectives. After the rise of Fascism in Germany, Wilder left for Paris, where he made his directorial debut and emigrated to Hollywood. His wise escape from Germany was made a little easier by the fact that Wilder possessed an Austrian rather than a German passport. Although he spoke no English when he arrived in Hollywood, Wilder was a fast learner, and thanks to contacts such as actor Peter Lorre with whom he shared an apartment, he was able to break into American films. Wilder became a naturalized citizen of the United States in 1934. His first significant success was the screwball comedy Ninotchka in 1939, a collaboration with fellow German immigrant Ernst Lubitsch, starring famous actress Greta Garbo. Lubitsch soon became Wilder’s idol and mentor, and Wilder always kept a sign hanging in his office that asked, “How would Lubitsch do it?”[3,5] Ninotchka also marked Wilder‘s first Academy Award nomination, which he shared with co-writer Charles Brackett. The partnership expanded into a producer-director one in 1942, with Brackett producing, and the two turned out such classics as Five Graves to Cairo (1943) with Erich von Stroheim, The Lost Weekend (1945) (Oscars for Best Picture, Director and Screenplay) and Sunset Boulevard (1950) (Oscars for Best Screenplay), after which the partnership dissolved. His third film as director, Double Indemnity (1944) was a major hit. A film noir, nominated for Best Director and Screenplay, it was co-written with famous mystery novelist Raymond Chandler. Although the two men did not get along well personally, their collaboration produced a masterful script and some of the snappiest dialog ever heard in a movie. Double Indemnity not only set conventions for the noir genre, but was also a landmark in the battle against Hollywood censorship. Two years later, Wilder earned the Best Director and Best Screenplay Academy Awards for The Lost Weekend (1945), the first major American film to make a serious examination of alcoholism, another difficult theme under the Production Code. In 1950, Wilder co-wrote and directed the dark and cynical Sunset Blvd., which paired rising star William Holden with Gloria Swanson. Swanson played Norma Desmond, a reclusive silent film star who, with delusions of her greatness from a bygone era, dreams of a comeback and leads a bizarre and tragic life. Holden portrays an aspiring screenwriter who can’t make ends meet and becomes a kept man to her. In 2000, the American Film Institute selected it as the best American comedy ever made. After winning three Academy Awards for 1960’s The Apartment (for Best Picture, Director, and Screenplay) with Shirley MacLaine and Jack Lemmon, Wilder’s career slowed. Billy Wilder worked with some of the most famous actors and actresses of all time. His favorites included Audrey Hepburn, William Holden, Marlene Dietrich, Jack Lemmon and Walter Matthau. On the other hand, Wilder and Humphrey Bogart did not get along at all. Wilder’s directorial choices reflected his belief in the primacy of writing. He avoided, especially in the second half of his career, the exuberant cinematography of Alfred Hitchcock  and Orson Welles  because, in Wilder’s opinion, shots that called attention to themselves would distract the audience from the story. Wilder’s pictures have tight plotting and memorable dialogue. 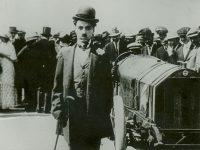 Despite his conservative directorial style, his subject matter often pushed the boundaries of mainstream entertainment. “Billy Wilder dies. Nobody’s perfect“. At yovisto academic video search, you may like the presentation of Donald Brackett, an SFU Continuing Studies instructor, who explores the dynamics behind the creation of Billy Wilder’s 1950 classic Sunset Boulevard. Ernst Lubitsch and the Lubitsch Touch, SciHi blog, January 28, 2014.